The thing is though, as I get older I’m becoming more and more obsessive compulsive. I’m the one who gets so fidgety when I sleep in a messy room. I can’t leave my room behind with a cluttered closet either. I’m even the one who constantly cleans up everything at home, and I admittedly like doing it myself instead because at least I get to do it the way I like. As I’m constantly traveling, I end up leaving my room unoccupied and it starts to collect some dust. Lots of days go by where my windows and door are left unopened, and so the smell from the dirty kitchen right below my bedroom sticks around in the air. Another frustration of mine is that there’s a small vent right outside my window and sometimes the dog smell comes into my bed room too! All of these get stuck and so even when I come home to a clean room, all these ruin everything. Until I found the solution! I first heard of Dyson for its every-woman’s-dream hairdryer that promises to cut your drying time and makes your hair naturally shine. I constantly go in and out of the store wanting to buy it till I found something else that could solve my frustrations above! 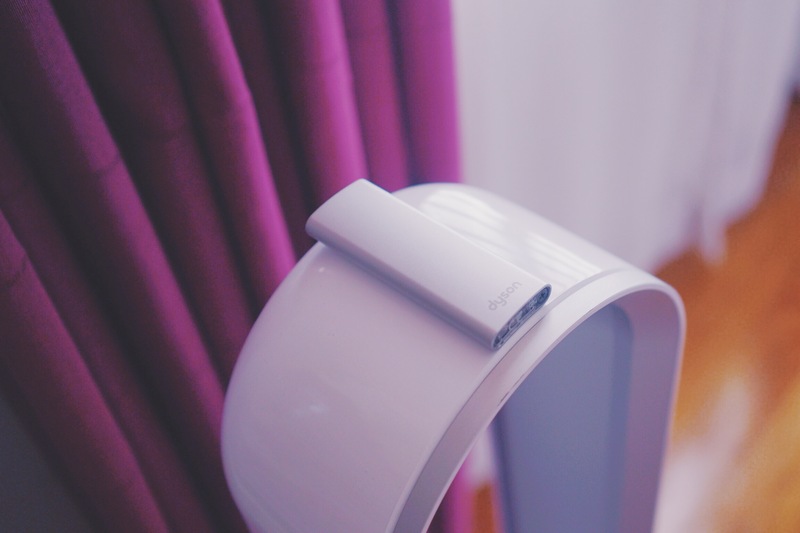 :) The Pure Cool Link is a fan + air purifier in one which makes it possible for me to purify the air in my room, removing up 99.95% of ultra fine allergens, odours and pollutants as small as 0.1 microns. This is possible with its unique 360 degree glass HEPA filter. It is made of borosilicate fibres, which are densely compacted and woven together that makes it easier to trap the tiniest particles. 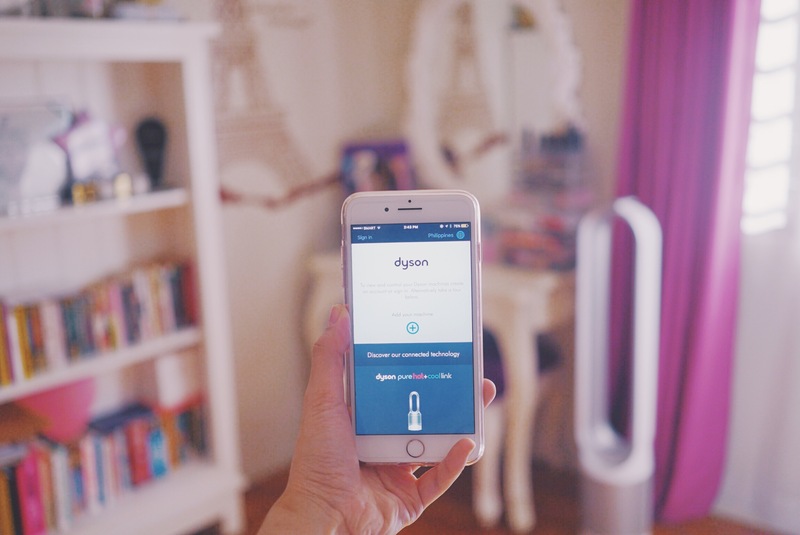 If you’re asking me how I get to control it even when I’m away, I just use the Dyson Link app which lets me see how dirty the air in my room is. The sensor found at the back of the machine is responsible for monitoring the air quality and then reporting it through the app. Just by opening it, I can also schedule when to turn on/off the unit, and I can even make my phone a mobile remote as I can also control the fan using the app from wherever I am! How cool is that right?! I just have to make sure that my phone and the Pure Cool Link are connected to the Wi-Fi in order to sync commands. The Dyson Pure Cool Link has become an ultimate necessity in my room now. It leaves me at ease being reassured that I can keep the air in my room from funny smells and dust while I travel and be away for weeks. So, now I can look forward coming home to a room with purified air, cleaned up the Dyson way- just the way I like it.